This genus belonging to the Amaryllis family contain about 70 species that are all native to North & South America. Their name being derived from ‘zephryros” the west wind and ‘anthos’ the flower. Commonly called ‘Rain Lilies’ as they suddenly appear after a good soaking Summer rain. 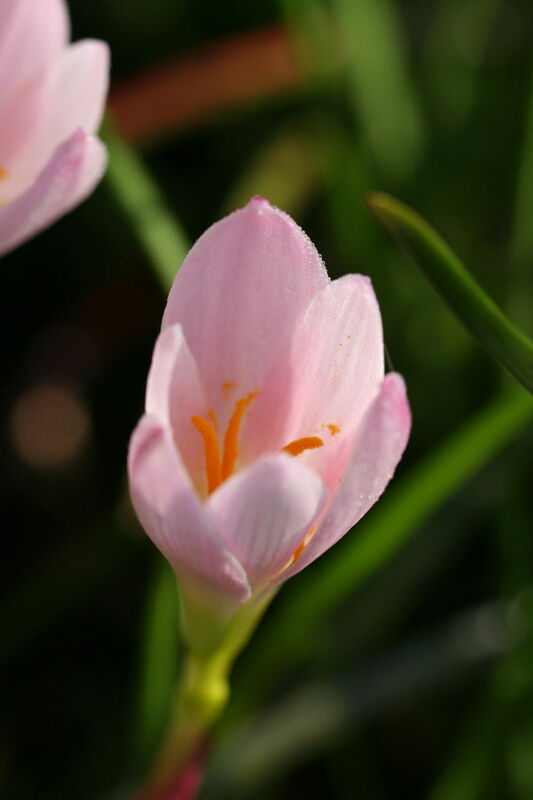 Their ‘crocus-like’ blooms vary in height from 15cm-30cm and come in shades of white, yellow and pink depending on the species. They need a little frost protection, in the really colder areas, as most are native to the warmer climates of the Americas. They appreciate a small amount of a complete fertiliser worked into a well-drained sunny situation prior to planting. Most are winter dormant, the exception being Z.candida, it is evergreen and therefore they are ideal as an edging plant. Make a wonderful pot specimen and they then can be kept a little warmer and protected through the Winter in the cooler areas.